RS are excited to release three more RS21s for charter at Charleston Race Week. 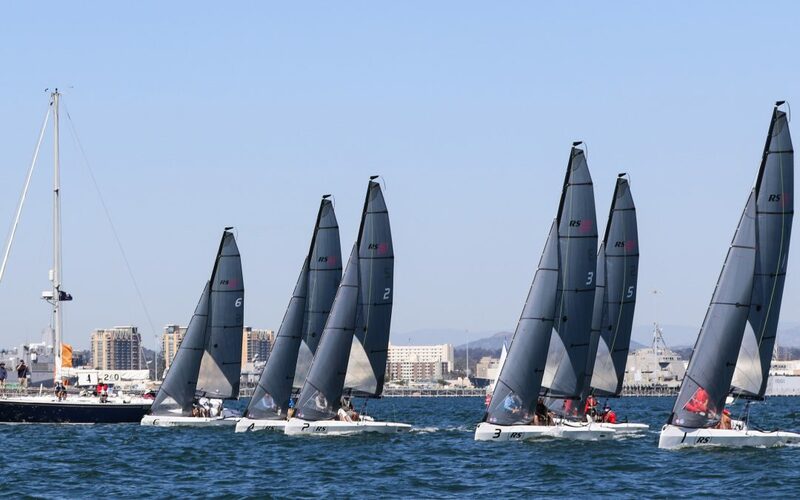 After the success of the San Diego NOOD Regatta, demand has been high from passionate sailors to sign up and join the growing fleet of RS21s. The six charter boats from San Diego were quickly snapped up by sailors from all over the US including Beverly Yacht Club, Annapolis Yacht Club and Lakewood Yacht Club. With thanks to the hard-working RS dealer network, there are now three more charter boats available for Charleston Race Week. Another thank you goes out to Spinlock for providing life jackets to all the sailors and to RaceGeek for providing their state-of-the-art D10 tactical racing display, which gives the sailors real-time feedback and tracking while they race. To book your charter boat on the RS Sailing Store website for $2,500 please click here. To register for Charleston Race week please click here. Don’t miss your chance to join us at what is bound to be another awesome event! #rockupandrace.